“Planet Brands” is a new piece of thought leadership developed by Futerra Sustainability Communications, on the brands that have the potential to drive global, sustainable behavior change. Behavior change is a hot topic and drawing on a decade of research David Willans, Director of Futerra+, will share his expertise on how brands can positively influence consumer behavior to encourage more sustainable lifestyles in an upcoming VolunteerMatch Best Practice Network (BPN) webinar. Some brands are already ‘leveraging’ their power to change our behaviors and Futerra has direct experience of how powerful this can be as a potential tool for sustainable development. Futerra recently launched the ‘Planet Brands Index’ containing the 100 brands that they believe can help us all live greener, safer, and more sustainable lifestyles. These are brands that could change the behaviors of billions, for a better future. But they remind us that being named on the Planet Brands Index isn’t a mark of achievement; it’s a call to action. During the webinar you will also be taken on the Planet Brands journey where you’ll be some of the first people provided with further invaluable insights from Futerra’s second behavior change installment ‘The Planet Brands Guide’ due to launch in October 2012. You will leave this session with an understanding of what consumer behavior change is and how brands can change behavior using Futerra’s 3Ps of behavioral marketing: Product, Persuasion and Placement. This will be an energetic webinar packed with tips, tools and tactics, complemented by a variety of case studies to bring this learning experience to life. Ahead of the webinar please feel free to download the PDF brochure that includes the Planet Brands methodology as well as the full list of companies. This also introduces the framework for the 3Ps of behavioral marketing that brands can use to effect consumer behavior and will provide you with an idea of what you can expect from this sizzling webinar. Futerra is one of the first international communications consultancies to specialize solely in sustainable development and corporate social responsibility. It offers the full range of communications services from internal engagement, PR and strategy, to design, digital, web, and brand development. David Willans has been working in sustainability communications for over a decade. He is a strategist by trade. He has worked with a wide range of sectors and businesses, developing communications strategies for clients including Nike, Asda, Kingfisher, Unilever and the UN. 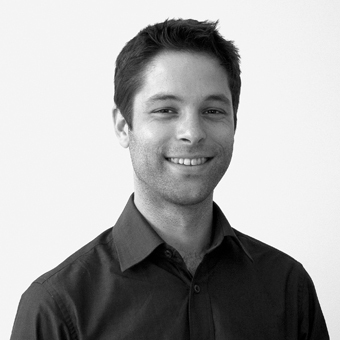 Having previously led Futerra’s strategy and creative teams, David is now Director of Futerra+. Here he is developing new ways Futerra can apply creativity to make sustainable development desirable. He holds a Masters in sustainable development, has judged the IEE Energie Cities and One World Media awards and was a member of the UN Sustainable Lifestyles Taskforce. How Do You #GiveTime To Make Home Possible?